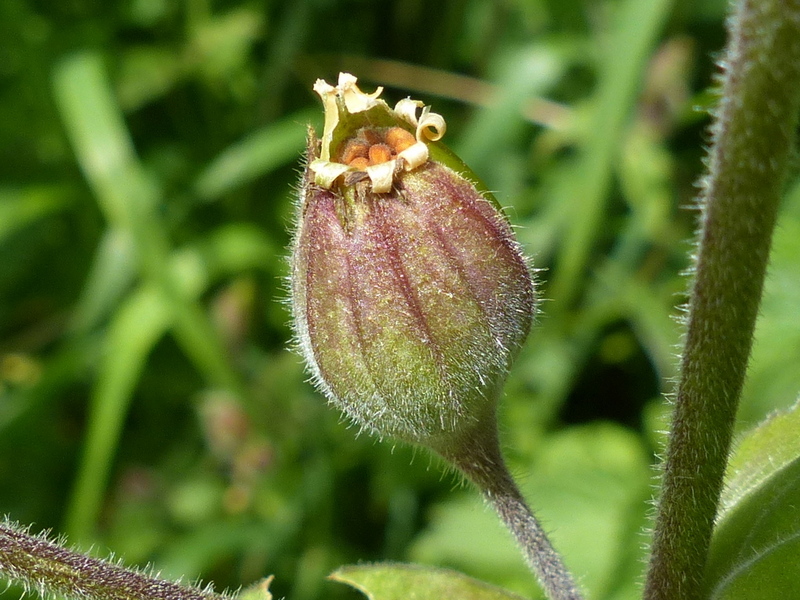 Technically the flowering season is from May to October with the fruit being produced from July onwards. 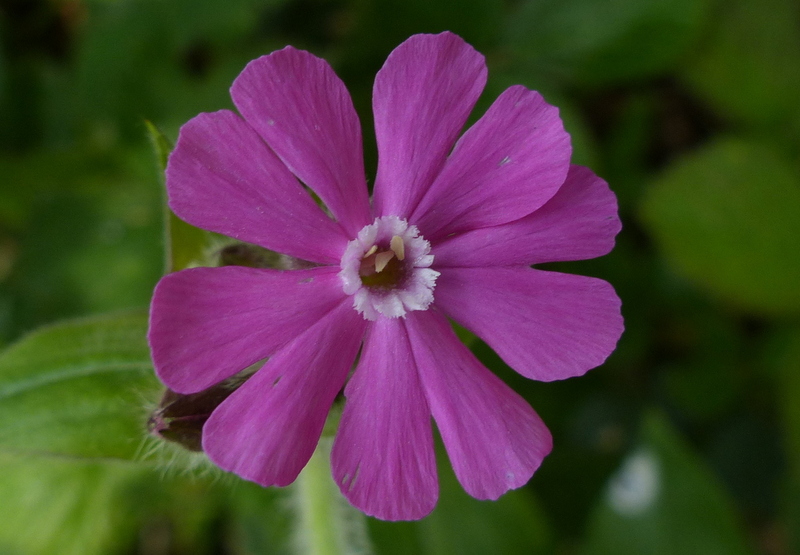 This is one of those flowers that is so abundant in my area that I can almost guarantee to find a flower at any time of year. 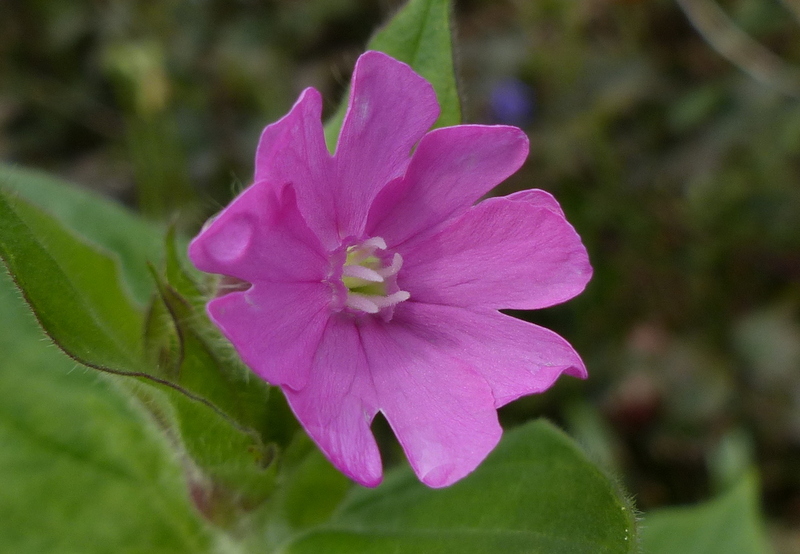 There is always the odd flower that will open out of season and I will see this one flowering in December and January. 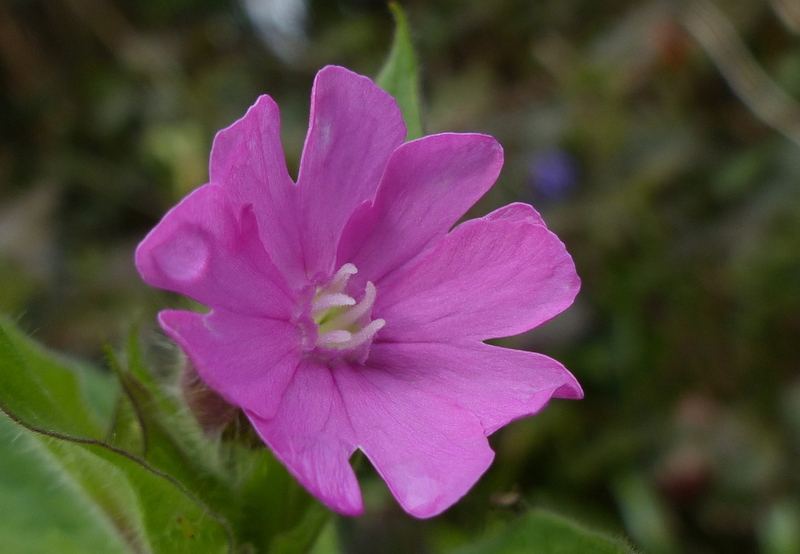 It is a welcome winter sight. 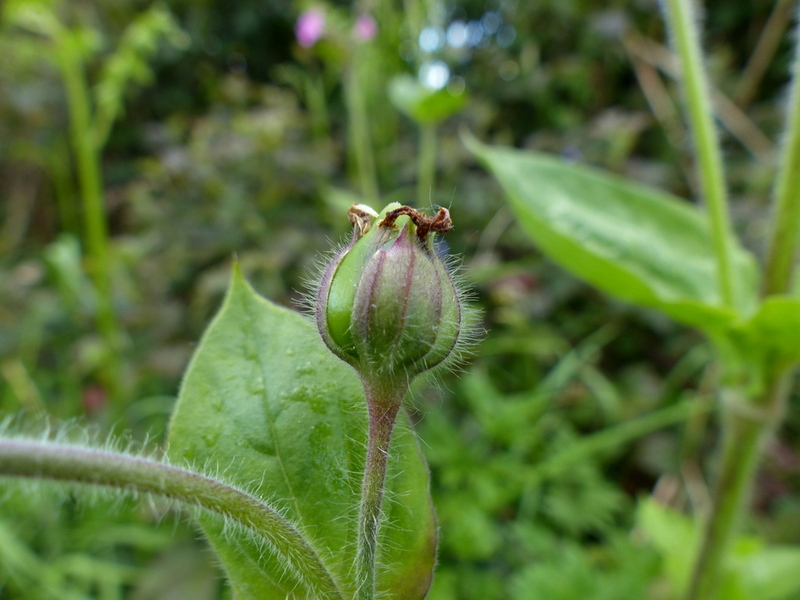 Silene is the feminine form of Silenus (A Greek deity of the forest). 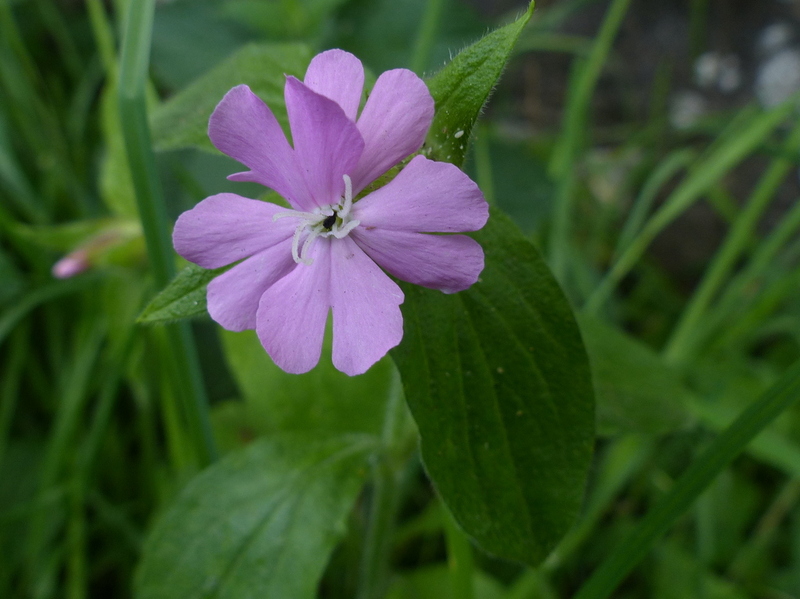 Dioica comes from the word dioecious ( a Greek word meaning “two households”) In botany it means that male and female flowers are borne on separate plants. 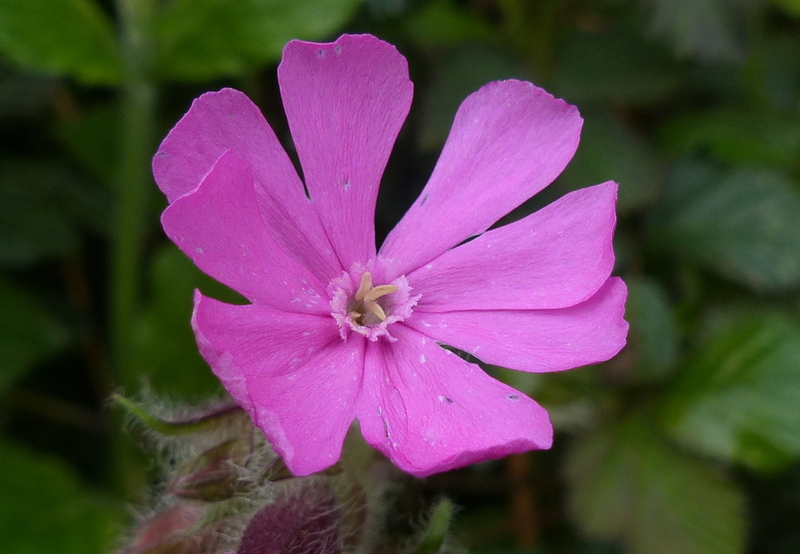 Male flowers have ten stamens and a ten veined calyx. 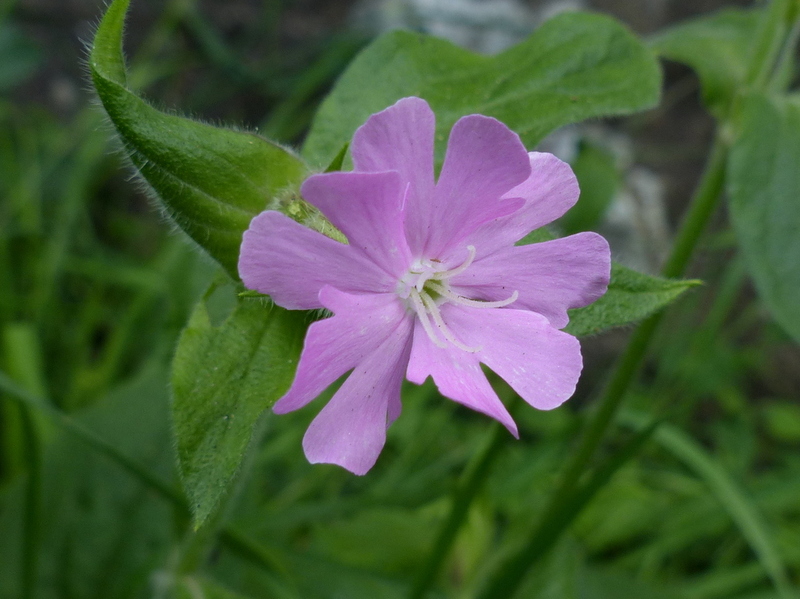 Female flowers have five styles and a twenty veined calyx. 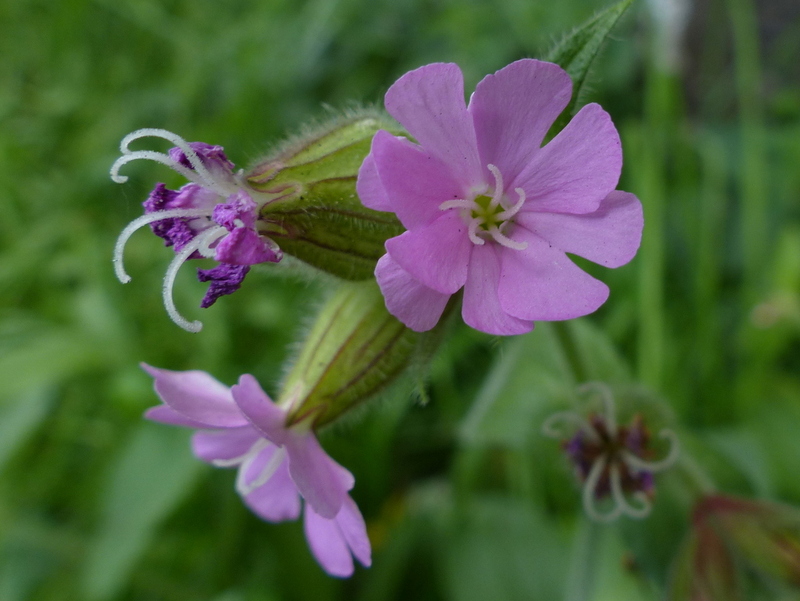 The styles go right down to the base of the flower and the sepals wrap around them to form a structure known as the calyx. 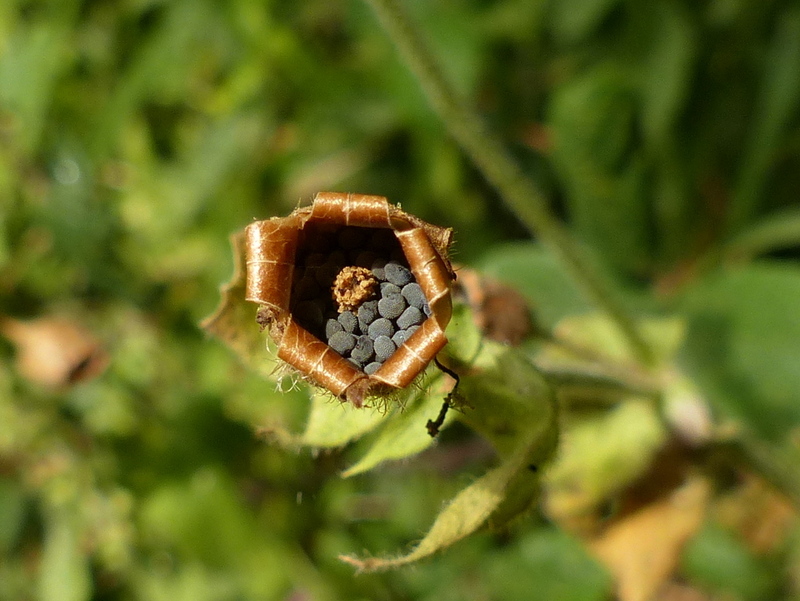 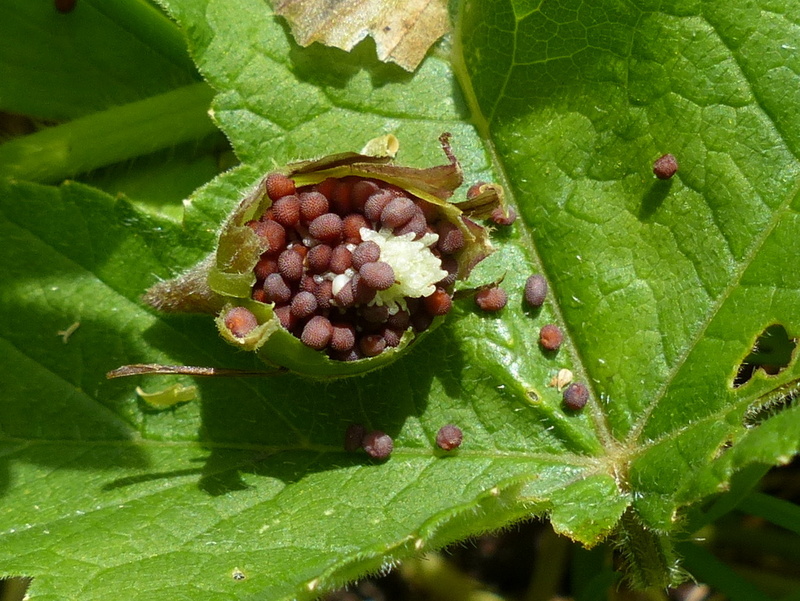 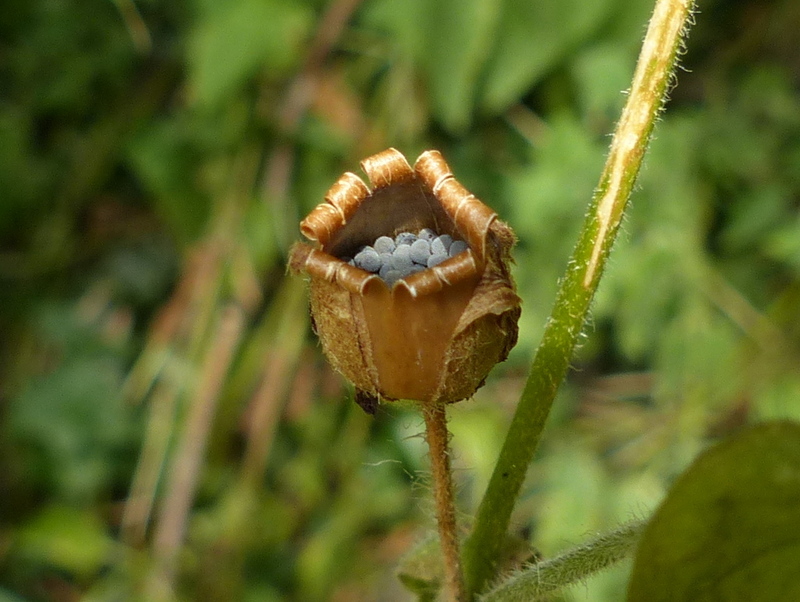 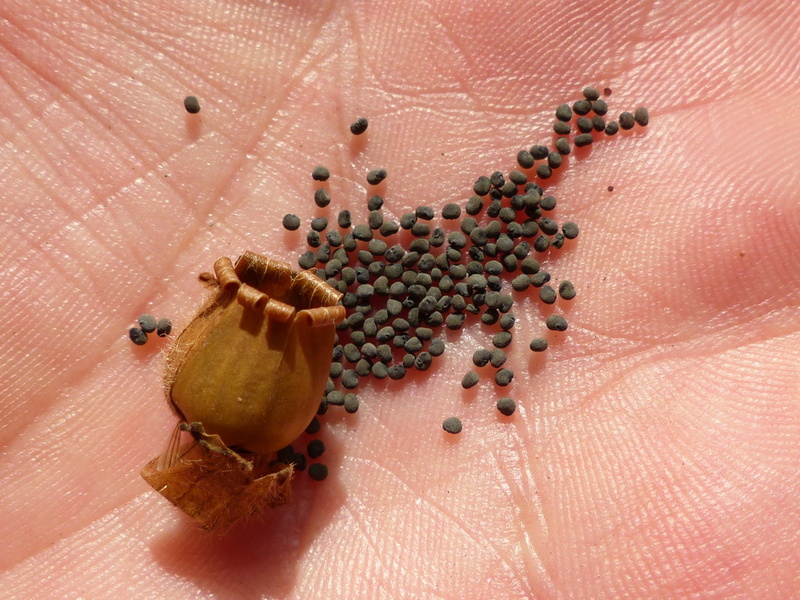 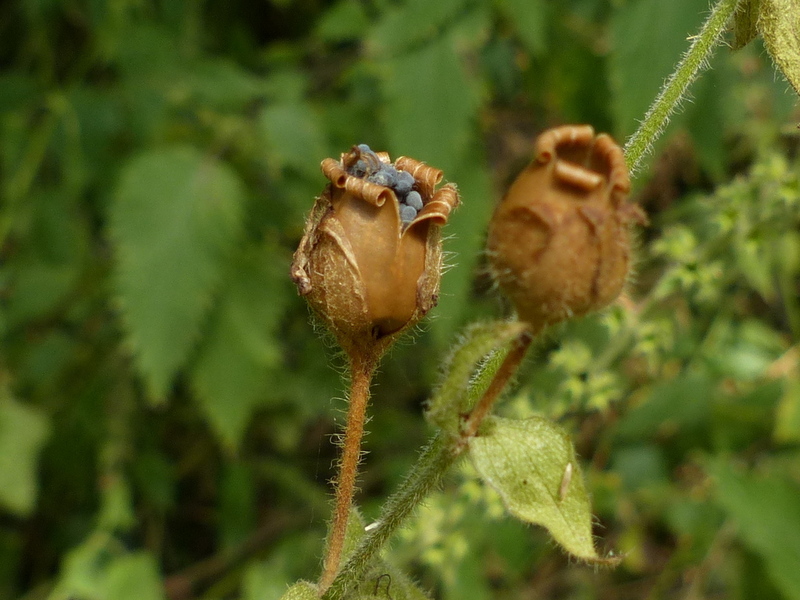 As the flower dies and the petals fall off, the fruit develops inside this calyx. 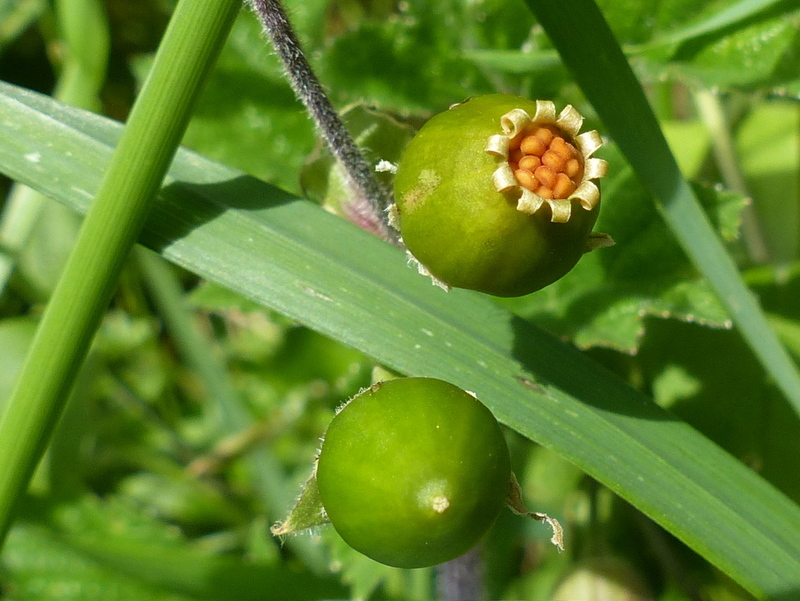 The ripe fruit has an opening at the top with ten curved back teeth and inside are numerous small black seeds. 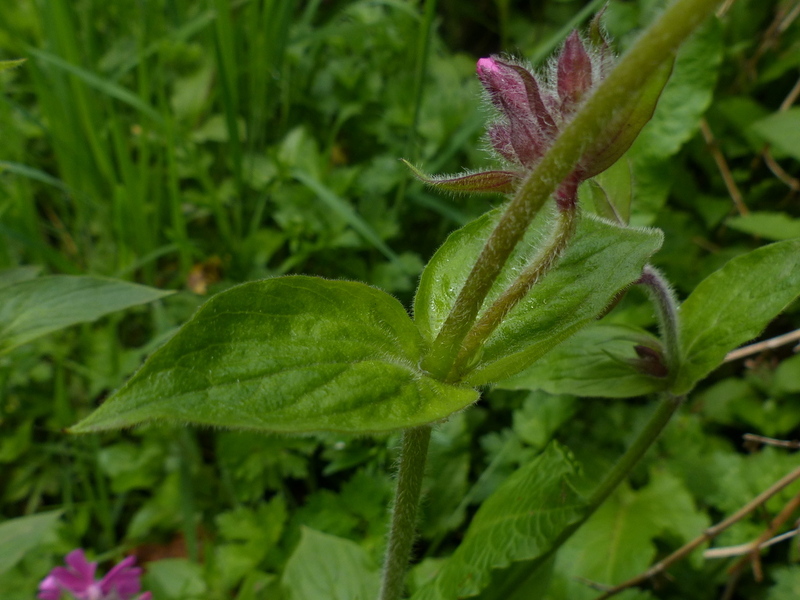 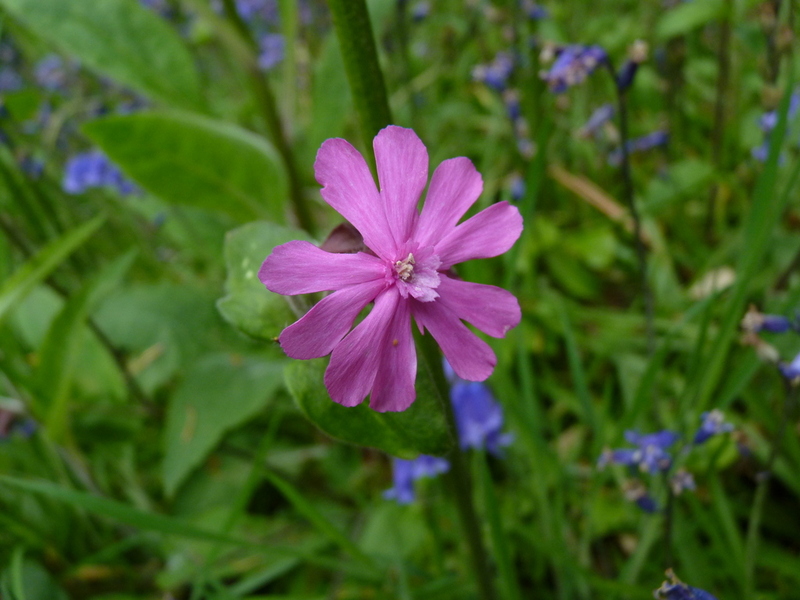 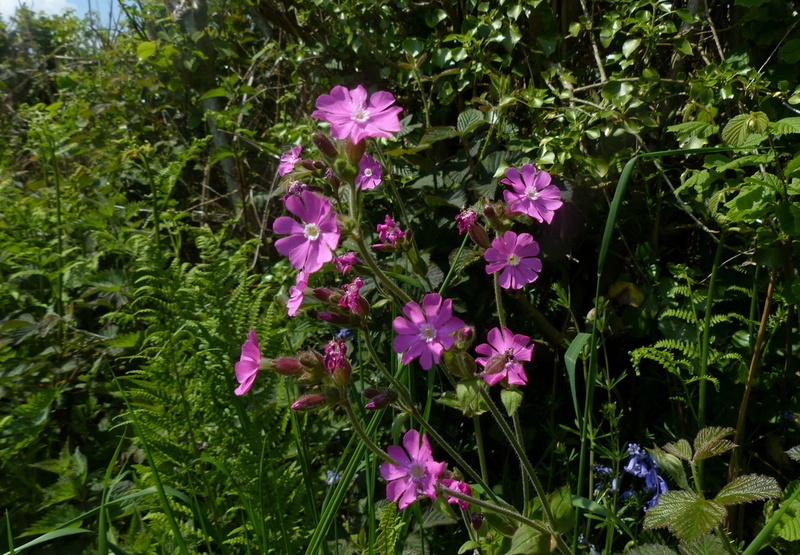 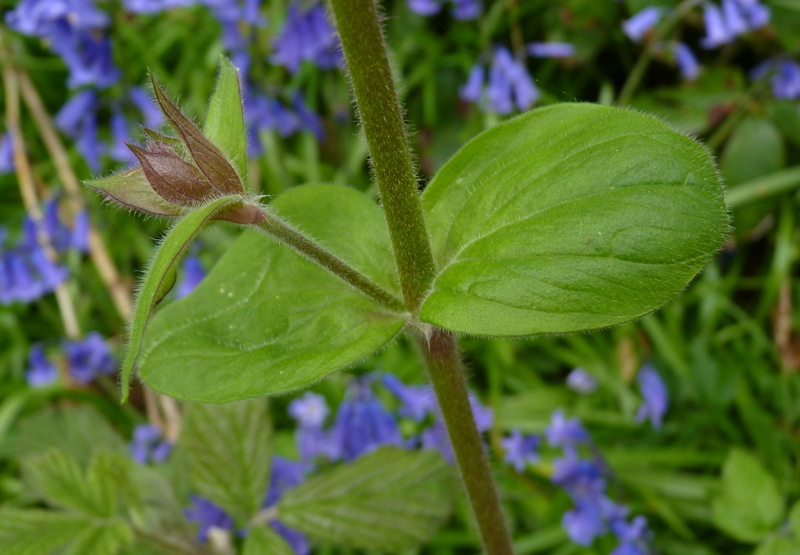 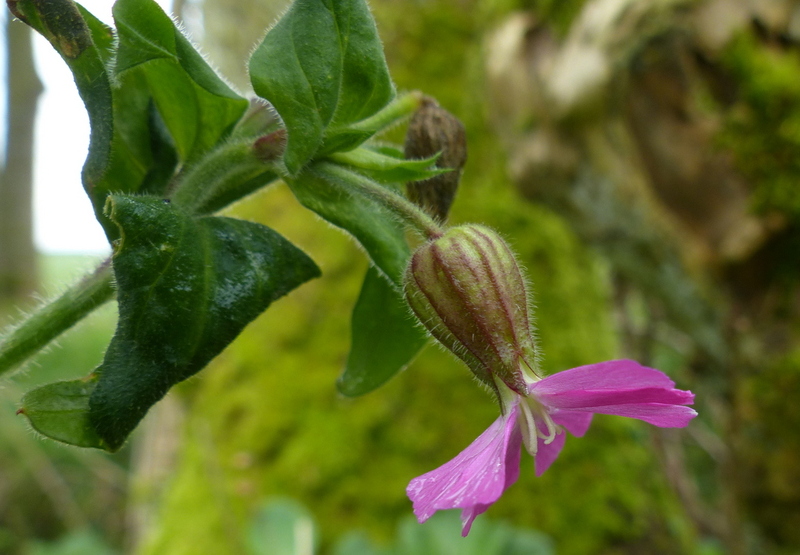 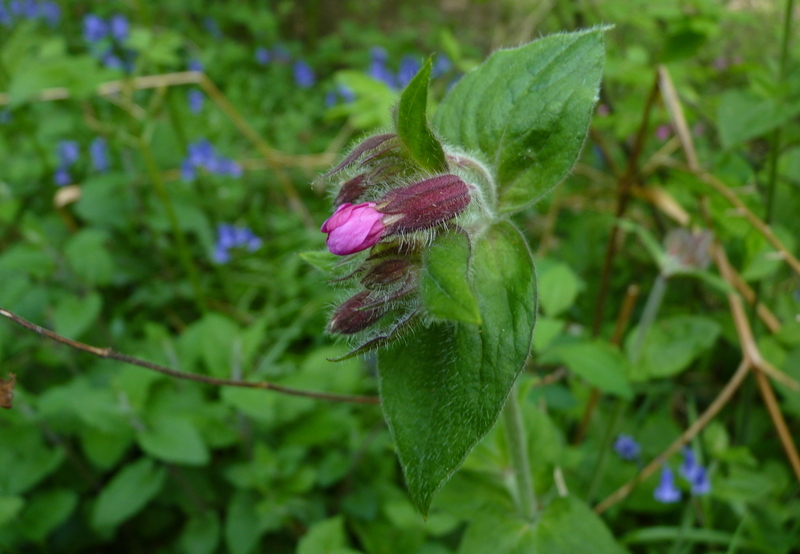 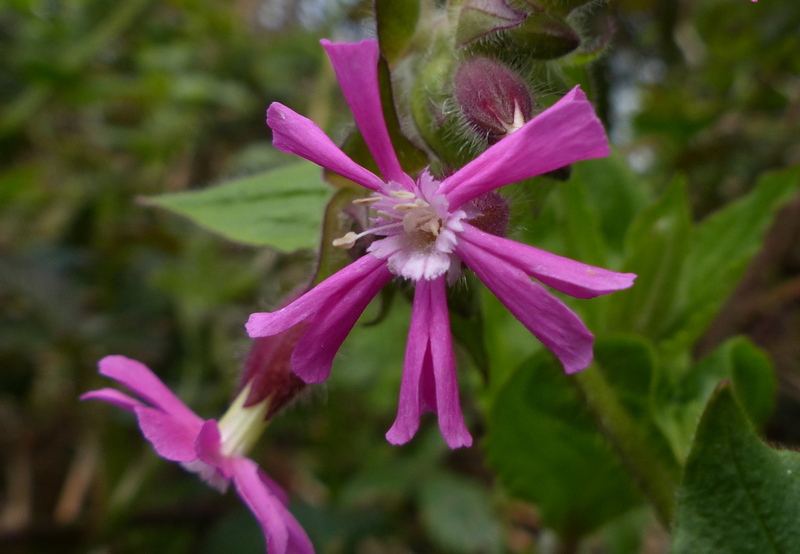 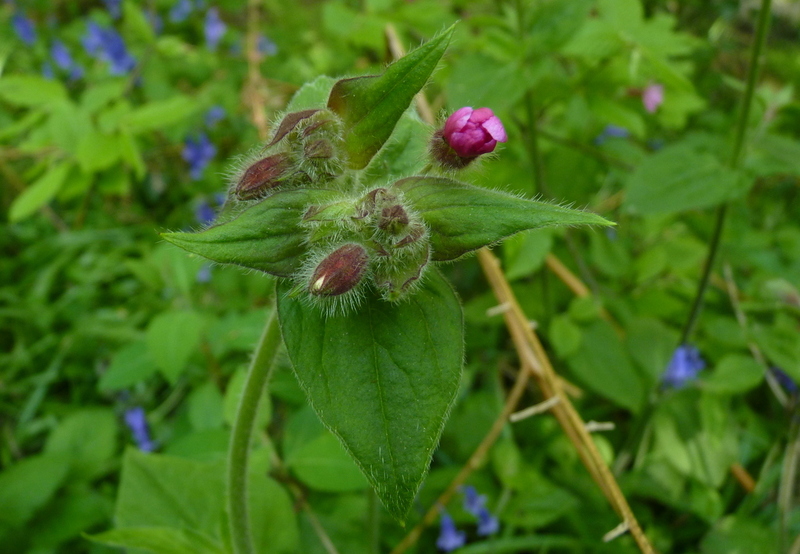 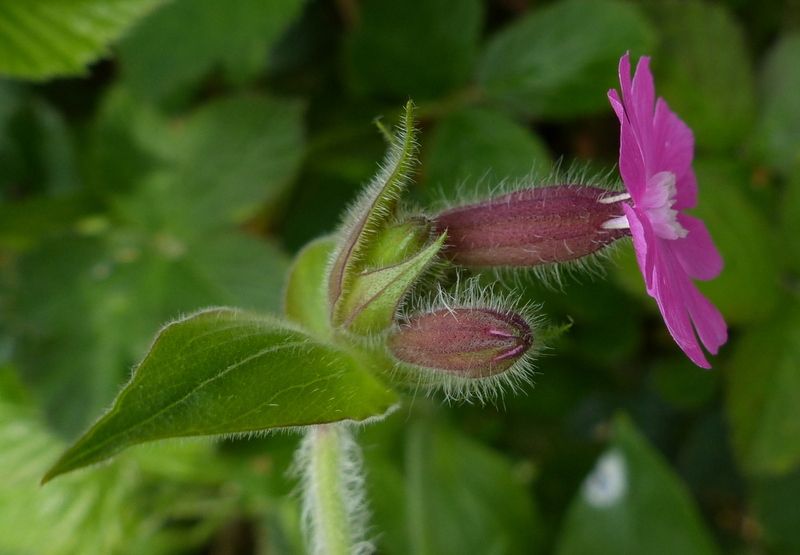 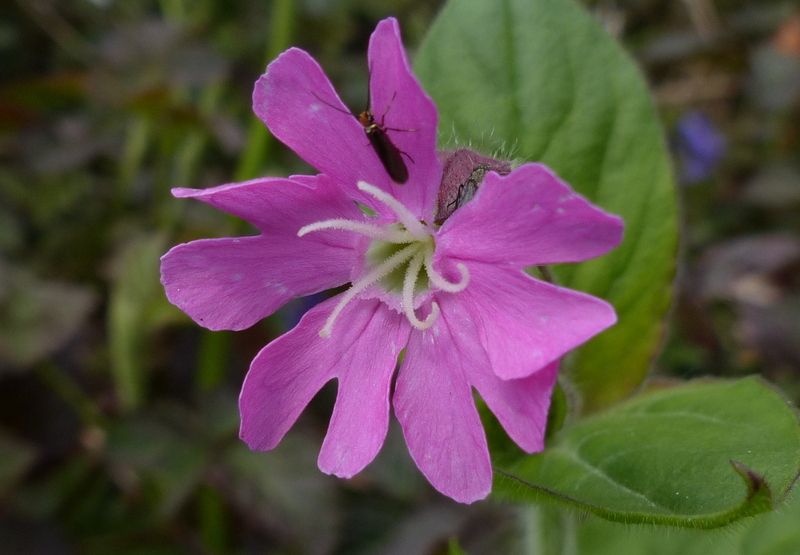 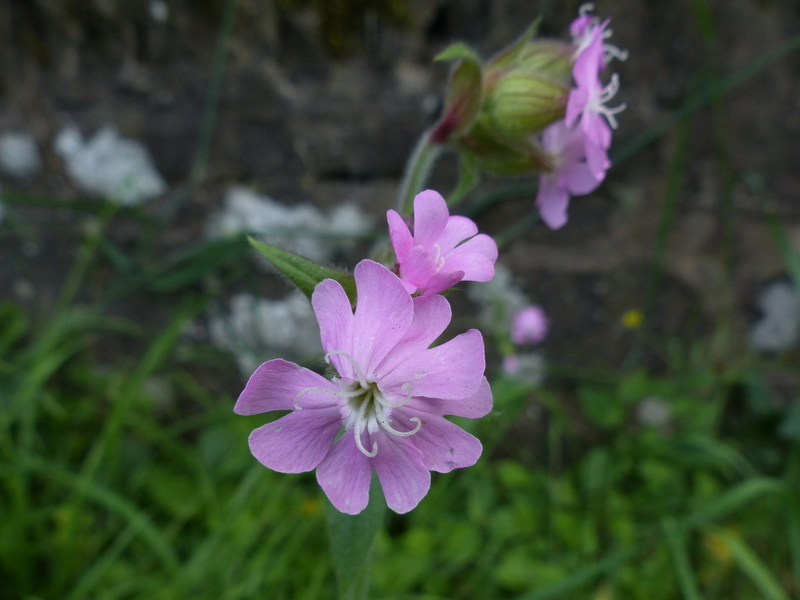 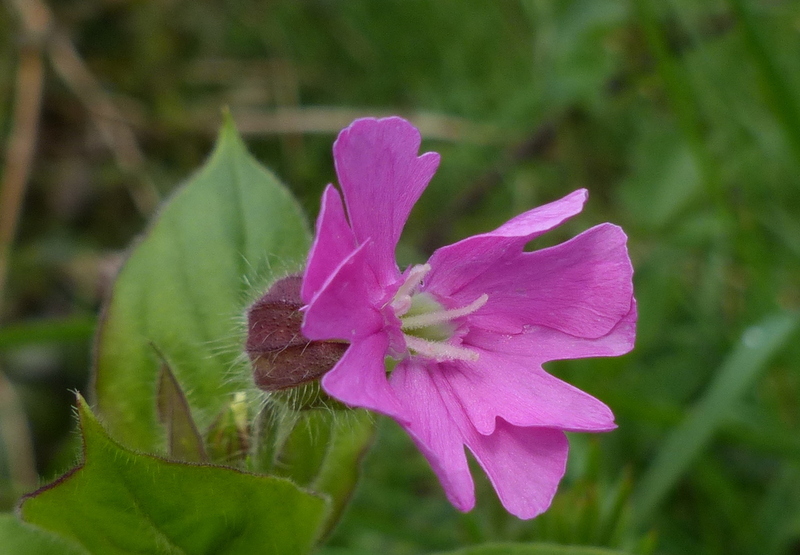 The leaves of Red Campion are oval and untoothed. 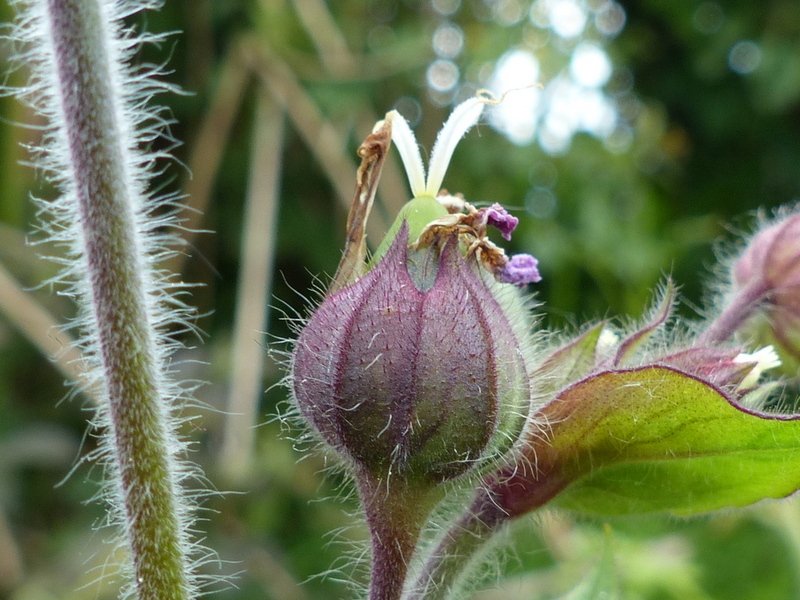 The stem is hairy.